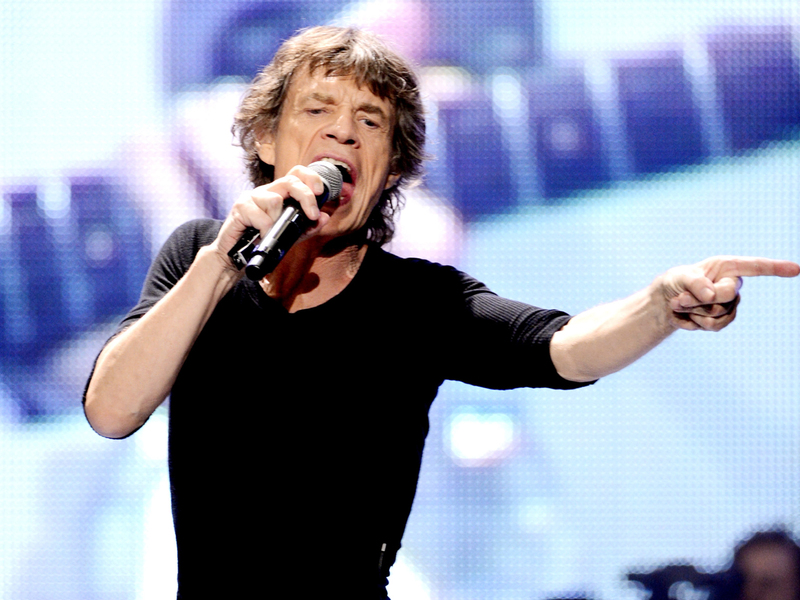 If he can't get no satisfaction, maybe that's because Mick Jagger is a great-grandpa. The 70-year-old rocker became a great-grandfather for the first time when his granddaughter Assisi Jackson gave birth to a baby girl, according to Hello! magazine and the Daily Mail. The baby's birth makes Jackson's mother, Jade Jagger, a first-time grandmother. Jade, 42, is expecting a baby of her own later this month with husband Adrian Fillary. Jade is Sir Mick's daughter by ex-wife Bianca Jagger. The Rolling Stones frontman has seven children in all. The Stones are due to resume their 14 On Fire tour on May 26 in Oslo, Norway. The tour was cut short in March following the suicide of Jagger's longtime girlfriend, fashion designer L'Wren Scott.